This entry was posted on Friday, August 17th, 2012 at 11:10 am	and is filed under Artful Aging, Exercise Science, uncategorized. You can follow any responses to this entry through the RSS 2.0 feed. You can leave a response, or trackback from your own site. Mom, this is awesome! Super interesting and really informative. You rule! Concerning this. When I had prostate enlargement, we hit it with PawPaw and silver and protease plus. But the main thing that fixed it was getting more alkaline rather than acidic. PawPaw however shuts off receptors in the mitochondria that are cancerous or wrong thus starving the cell. Amazing herb that, but one can only take it a very short time. Interesting, Kenneth. Thanks for that info about pawpaw and mitochondrial function. I hadn’t heard that, but had heard that Native Americans used it to fight certain diseases. I appreciate you adding this to the conversation! Sounds like a great event!! I have been diagoned with primary biliary scerosis. 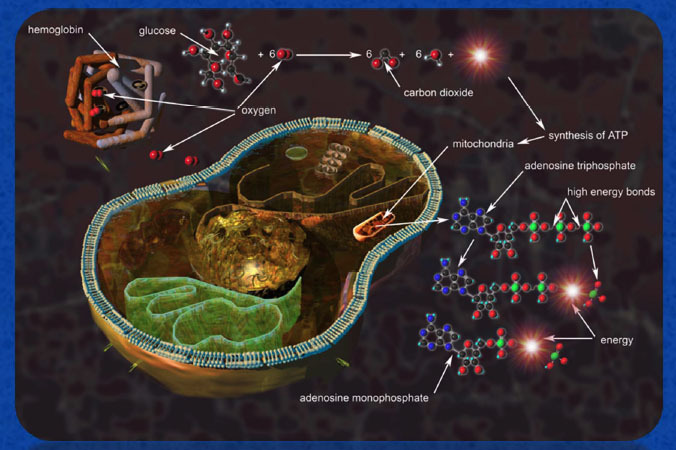 In my labs the doc (naturalpath)has been following my mitochondria antibodies. I dont know much about this subject, but if i have antibodies attacking my mitochondria, then im not mitochondria rich. No wonder ive always been overweight by more than 20lbs, no matter how much i worked out. I am on a gluten, all wheat, egg, dairy, soy, corn free diet, its been difficult, i should be loosing but still have not.I cant wait to learn more about this subject.I am willing to do anything to heal. Thank you for your article and your site. Hi Betty, Very interesting about your doc and the testing of your mitochondria antibodies. Sounds like you have a good doc! Keep us posted. And yes, a wheat, egg, dairy, soy, corn-free diet is difficult, but SO much healthier for most of us. Soy, corn, wheat are in so many processed foods that if you stick to whole foods, you can avoid them. Not easy though, I know! Hang in there. Awesome info Melissa! I love it. I am studying anatomy and physiology right now so obviously mitochondria has come up Your posts ALWAYS complement my studies. Here’s a thought – do you think it’s easier for someone to lose 60 pounds, simply because they have many changes to make (cut out sugar, exercise, portion control, etc…)? Easier than it is for you to lose that 6-10 lbs because you’ve already made most of those changes. Am I making any sense? Can’t wait for part 2! Such good (and geeky) thinking Maggie. I love anatomy & physiology. If you ever have a chance to do a workshop with Gil Hedley, do it! He’s amazing! As for your question — it depends — and it’s a long story. =) But, yes, you’re making perfect sense. I could lose the weight quickly with a low calorie diet, but that is not my goal. My goal is to permanently lose the weight and reset my metabolism so I keep the weight off. It took several months for me to gain this weight and it will take several months to lose it for REAL. There’s a big difference. Most people (there are always exceptions) can lose weight. That is not the hard part (even though it’s hard). The hard part is keeping the weight off. That takes a different strategy and much more thoughtful weight loss and lifestyle changes. You’re right though. I gained the weight not as much from what I ate, but from what I DIDN’T do. This was the first time in my life that I didn’t move (exercise) at a fairly high level. In combination with my age and some natural shifts in hormones, etc., all that sitting changed my metabolism and mitochondrial density. That, plus my restorative yoga practice, which added to a down-tick in my metabolism caused weight gain. It’s about the movement for me. So, yes, in some ways you’re absolutely right. Wish you were closer. We could share geeky information over a green smoothie! My 5 year old has celiac, global apraxia (including speech), metabolic acidosis, and suspected mitochondrial disease. While our medical professionals call her a mystery, we’ve seen lots of improvements with diet and therapy. I’m always looking for ways to incorporate good habits (moving, resting, eating nutrient dense foods, hydrating) into our lives so that she can manage her life the same way as an adult. I’m on pins and needles for part 2! Shannon, Check out Lexie’s Kitchen blog. Alexa, who commented on this post of mine (see “Lexie’s Kitchen comment) is the founder of that blog and she’s amazing. Her son has mitochondrial dysfunction issues and she’s well-versed on food and nutrition, etc. Thanks so much for your comment. Alexa and I often say “we are all in this together” and I hope finding support and knowing you are not alone in this journey to find answers is somewhat comforting. Good luck. It sounds like you are an amazingly creative and caring mom! Hang in there.